Same Day Delivery & Shipping | Blackhawk Express Freight & Messenger, Inc.
Do you have a package you need delivered fast at least 60 miles outside of Chicago? Are you in need of same-day rush delivery? Turn to Blackhawk Express Freight & Messenger for superior and speedy hot shot delivery services you’ll be hard pressed to find anywhere else. Hot shot delivery is one way to make sure your package arrives at its destination as soon as possible. We’re dedicated to safely taking your parcel to its location in any weather – rain or shine.Call Blackhawk Express Freight & Messenger in Port Barrington, Illinois for hot shot pricing information. PUNCTUAL, RELIABLE SERVICES YOU’VE BEEN LOOKING FOR. We know you don’t want to worry over whether or not your package is being properly cared for during transit. That’s why we work hard to provide exceptional services and top-notch customer care. 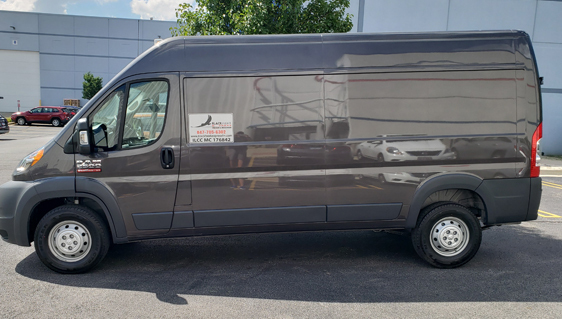 Get in touch with our delivery professionals today – call 847-705-6302.